Two true stories of people getting noticed for doing their best at what they do best. A few years ago when I was still living in Paris, France, and only had two kids, we would take the bus every morning and ride the 4 stops to their nursery, and then I'd come pick them up again early in the afternoon. Like clockwork, morning and afternoon, every day for over a year. Aside from the fun of spending time with two happy toddlers, it was rarely an eventful journey. One afternoon, something amazing happened. As we waited at the bus stop for the return ride home, the slight slope of the street meant that we could just see over the surrounding boards into the ground-level construction site across the road and slightly downhill from us. Inside, a backhoe was working, scooping up fresh dirt from the ground on the right, turning in front of us, and then dropping it in the rear bin of a waiting dump truck on the left, but this was no ordinary backhoe, or rather, I should say that this machine was driven by no ordinary backhoe operator. Most backhoes work with same rhythm, but this one was DANCING. It was hard to believe but the operator was working it so smoothly, so fluidly, so gracefully that you didn't need to let your mind wander far to picture a giant's arm and hand moving back and forth from the ground to the truck. And if that wasn't cool enough, the operator was moving everything fast, in the most effective motion. As the mechanical arm pulled up the dirt on the right, the backhoe would already beginning turning to the left, and as the shovel dropped its dirt into the truck, the arm would already beginning swooping down to the right for the next scoop. Only after the waiting dump truck was filled and the backhoe arm came to a temporary rest, did I realize that a small crowd had stood in awe the whole time, mesmerized like I was at the performance of someone who had taken an unexciting task and made it a thing of beauty. As impressed as we bystanders were, ignorant to the difficulty of the job at hand, I can only imagine how the operator's superiors feel about having someone like that in their team. My friend Chaim recently told me about how he found his current job. He had been laid off from his previous job as an electrician and foreman. Together with other things that were going sour in his life at the time, the layoff could have easily pushed him into a full-on depression but he stayed positive with the help of his family and friends. One day he went to pray at a local synagogue. While there, he noticed many burned-out light bulbs hanging from the ceiling, having accumulated over the years. The gabbai (synagogue custodian) said that they would replace them if not for the 20-foot ceilings. Chaim thought about it for a second and suggested that he could help. The gabbai was only too happy to set a time when Chaim could have access to the synagogue, and later that week, Chaim returned with his equipment and a high ladder. When the gabbai saw what Chaim had done, he made Chaim promise to return over the weekend, when most of the locals would attend for the Sabbath prayer services. Friday night, as synagogue-goers arrived and marveled at the refreshed lighting of the new bulbs AND new fixtures that Chaim had added of his own accord, one person in particular paid a little extra attention, making a point of going up to Chaim after the services to find out more about him. The next morning, after the community had celebrated Chaim's contribution – thanking him with almost as many honors as a bar mitzvah – this person introduced Chaim to his brother-in-law, a head honcho in the local branch of the national electric utility. Not wanting to discuss work on the Sabbath, the brother-in-law invited Chaim to his office the next day. The job interview went well but by that point, the brother-in-law had been so impressed that he really just wanted to see if there was any reason NOT to hire Chaim. To this day, 14 years later, Chaim still works happily for the national utility. It's often not what you do that makes you a standout, but how you do it. 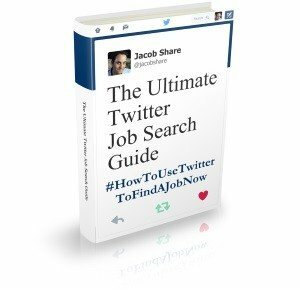 Subscribe to JobMob via RSS or email and follow me on Twitter for more inspiring stories about job search and personal branding. RT @DawnBugni: RT @TimsStrategy: RT @jacobshare True Stories About What It Means To Be Outstanding http://ow.ly/16I57T <–Awesome read! 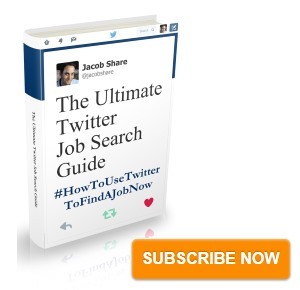 RT @TheJobQuest @jacobshare True Stories About What It Means To Be Outstanding http://ow.ly/16I57T <–Awesome read! What inspiring stories. The first because it seems apparent that the backhoe operator was a true artist. And, the second because there is hope for all job seekers who show true initiative.